Our NEW camps for 2019! What is it like to work at High Wycombe? Our Wycombe camp boasts a long list of excellent facilities, such as: a purpose-built sports centre, a 25 metre indoor swimming pool, a sports hall, dance studio and a fencing piste. 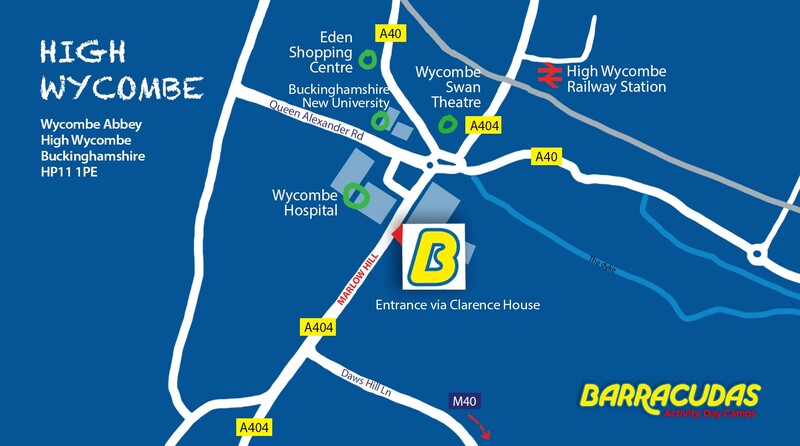 Our High Wycombe camp is located in the heart of the town itself, making it easy to get to via train, with trains that get you to London Marylebone in as little as 5 minutes. All of our training courses are completely FREE to enrol in, with courses such as Fencing and Paediatric First Aid being classed as nationally recognised qualifications! Please Note: This camp is also close to our Watford and Wokingham camps, so if the role you’re looking for isn’t available, be sure to check those camps out too! Click here to see a location map. Apply to work at this camp now!